Five Michigan NPSL clubs including AFC Ann Arbor, Grand Rapids FC, Kalamazoo FC Lansing United and the Michigan Stars, will be participating in the newly formed Michigan Milk Cup. The goal of the competition is to crown Michigan’s top participating club, annually, through a point system including all regular season matches between said clubs. At the end of the NPSL regular season, the club with the most points will be crowned Michigan’s top club, securing the Milk Cup and milk money (prize money). The 2017 Michigan Milk Cup will include 20 fixtures (within NPSL Great Lakes Conference play). With home and homes for every side, each club will have 4 home matches and 4 away trips to secure their title as Michigan’s top club. The NPSL Midwest Region is set to announce their schedule in February. As all 5 organizations belong to the Great Lakes Conference, fans will have a great map for their team’s path to the top very soon. Lansing United owner, Jeremy Sampson is thrilled about the new regional partnership and Michigan Milk Cup. 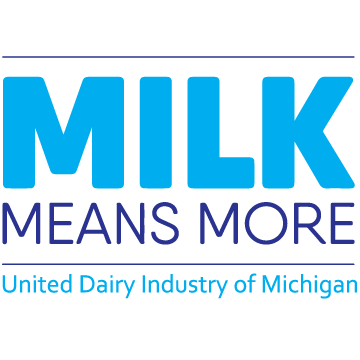 He added, "Lansing United is excited to partner with the United Dairy Industry of Michigan in 2017. We have always used chocolate milk as a recovery drink for our players, they love drinking it. We are also thrilled to be participating in the Milk Means More Cup this season, battling it out to see who the best team in Michigan is."